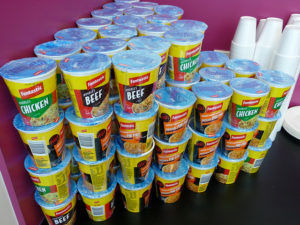 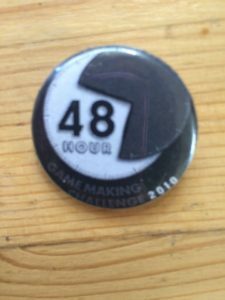 In 2010 the 48hr game making challenge hit its fourth year and was firmly settled in the block and the glasshouse at the Kelvin Grove Creative Industries Precincts with two leagues, the indie league and the pro league. 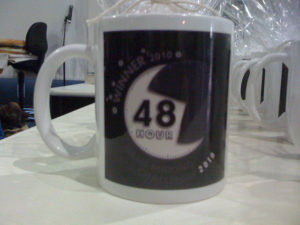 The fourth fabulous 48hr saw the return of many battle scarred regulars as well as some brave newcomers – a particular shout to the small team of two who hid behind a pile of soft drink cans in the back corner of the back room! 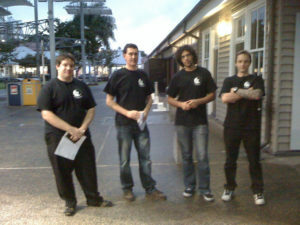 We had four judges: John Passfield, Marco Grgic, Mick Gordon and Morgan Jaffit. 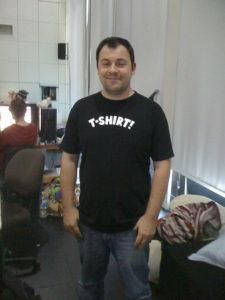 And there was our own adored techie, Chen, who changed his t-shirt on the hour every hour and confused everyone!